grouser (Ludlow, United Kingdom) on 14 April 2019 in Art & Design. 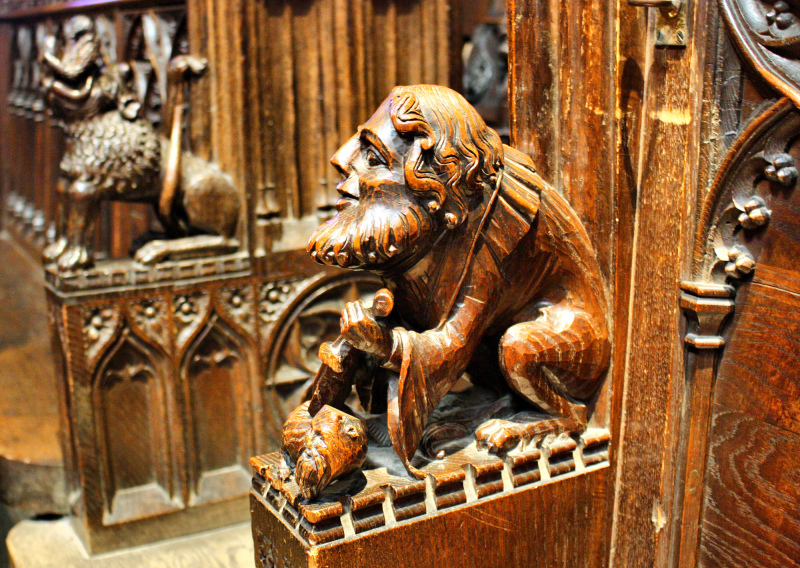 A detail shot of an end of a choir stall. You did very well with this shot. Great detail on this fine carving. ... a beautiful image of misericord! An incredible wood carving! The image is very sharp. It is frustrating to have shaky hands. I really appreciate the image stabilization that is built into the camera these days. Indeed fine work to keep the shot very sharp at 1/6 sec. I agree with you on the benefits of IS. It has come really handy for me as well when photographing in China where it was mostly impossible to set up a tripod. Love the tones and detail in this elaborate artwork. Wonderful!